A lot of rumors had turned into reality. Earlier, when we first heard Apple’s new Smartphone. Most of the people thought, the company would go with the iPhone 7 name. As you know, Former iPhone 6 and 6 Plus devices was followed by iPhone 5S Smartphone. 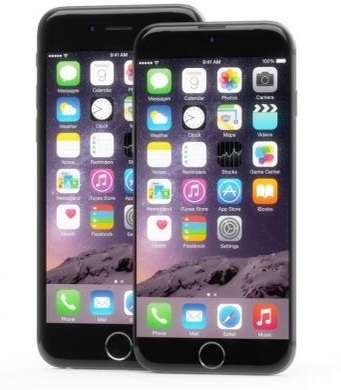 Later on, Apple itself rumored upcoming flagship monikered with iPhone 6S and 6S Plus (bigger one). At the launch event, Apple unveiled two new Smartphone powered by iOS 9 operating system. Soon after the release, Apple started sales in 12 countries in the first session. Later on, the company released iOS 8.4.1 firmware to former device, which brought some bug fixes. Surprisingly, the compatible devices started to receive official iOS 9 firmware. Apple unlocked bug fixes, improvement in hardware, new features and enhanced battery performance in iOS 9 update. It was a nice move from the Apple brand. There is a problem once you update the device to latest version. The consumers who update firmware, can’t go back to a previous version. In the similar way, the device that runs on iOS 9.0.2 can’t downgrade to iOS 9.0.1. Apple had already closed the sign up for former firmware version. iPhone 6S is a pretty cool device, which particularly highlight the new features. Talking about the features, Apple included 3D touch technology, USB Type-C charging port and high quality front facing camera. Display: All specs are pretty impressive! Apple needs to bring some of the features that are left behind. To begin with, The company should integrate quad high quality display screen rather than HD screen. RAM: In upcoming iPhone 7 flagship, RAM size should be increased for better performance and processing. Camera: Even though, the iPhone 6S include upgraded camera hardware that boost megapixel. Apple should add more megapixel to take down other competitors. While comparing iPhone 6S with Galaxy S6, Samsung brings ISO control, white balance, macro setting and pro camera features. On the other end, iPhone 6S will automatically balance the brightness in the dark. In result, Apple must include some external camera features in upcoming iPhone 7 Smartphone. Customized Home screen: Most of the Samsung phone home screen can be customized with widgets, whereas Apple Smartphone lack of these features. Built-in Health features: Apart from internal hardware and firmware, Apple should add built-in health features (heart beat sensor) in the upcoming iPhone 7. Notification Panel: The Apple devices featured with unorganized notification panel, which are overwhelming and confuse the owner. On the other end, Samsung’s notification panel is sleek and easier to navigate. Don’t forget to share and write your opinion in the comment section below. We look forward for more updates and news on Apple brand.